Those of us in the workflow game know Nintex is one of the big tools available on the market. Their advanced software is great for plotting out complex workflows, running intricate automations, and integrating tightly and natively with other large corporate tools. But that’s what it is: corporate. It’s heavy and less agile than many of its competitors, with a restrictive price tag which puts it squarely into the enterprise market. The Nintex light-version, which comes in at a more reasonable price point, simply doesn’t compete with the other tools that target the small-to-medium business space. It has less features and less functionality than many of the newer and more innovative up-and-comers. In this Process Street article, we’re going to tackle that niche. What are better examples of workflow software for a small to medium sized enterprise, without missing out on complex functionality? Processes are only worth having if your team is going to use them. Process Street has been designed to make processes user-friendly and actionable, with a simple and modern interface. Working from the kind of use cases you’ll find in The Checklist Manifesto, our primary goal is to help you create process libraries for your employees to follow so you can streamline your business. The Process Street dashboard showing a client onboarding process with several active checklists — one for each client. In Process Street, you create a process template and then run that template as a checklist whenever the task is to be undertaken. 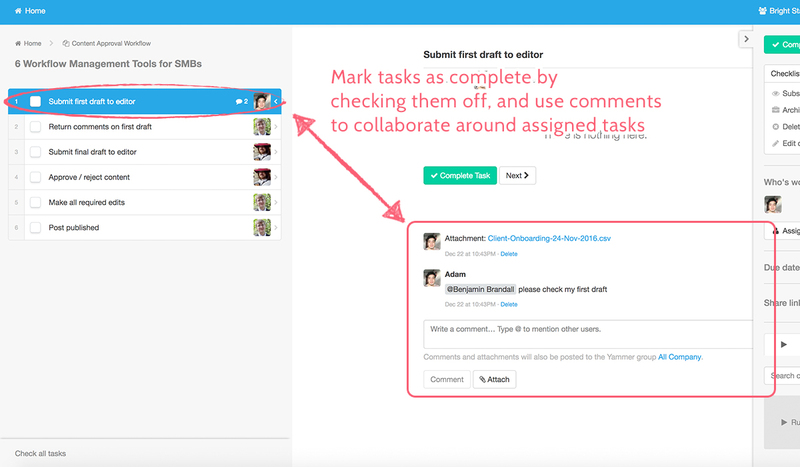 You can also run checklists for someone else and assign them, helping you delegate. The checklist will show up in that employee’s Inbox and they’ll receive a notification. 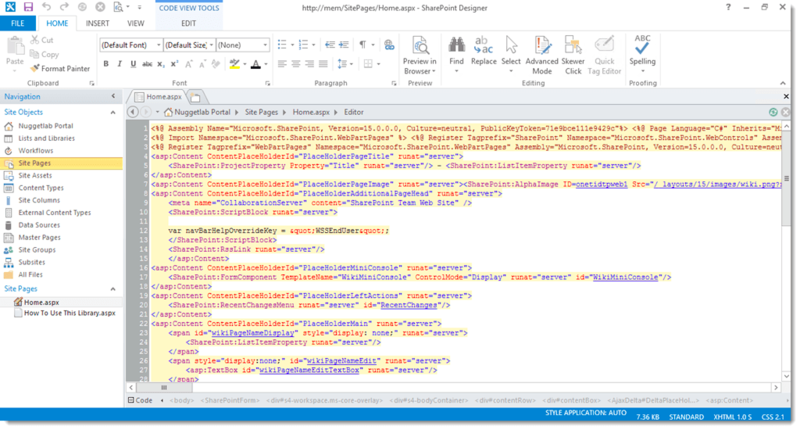 Each Process Street template is built from the editor which allows you to add everything from simple form fields, images, and videos, to email widgets, stop tasks, and conditional logic. Alongside this, Process Street has a powerful Zapier integration which allows you to connect your account with over 1,000 different apps. Process Street’s Zapier integration is more extensive than Nintex’s, providing you with options for both Triggers and Actions. 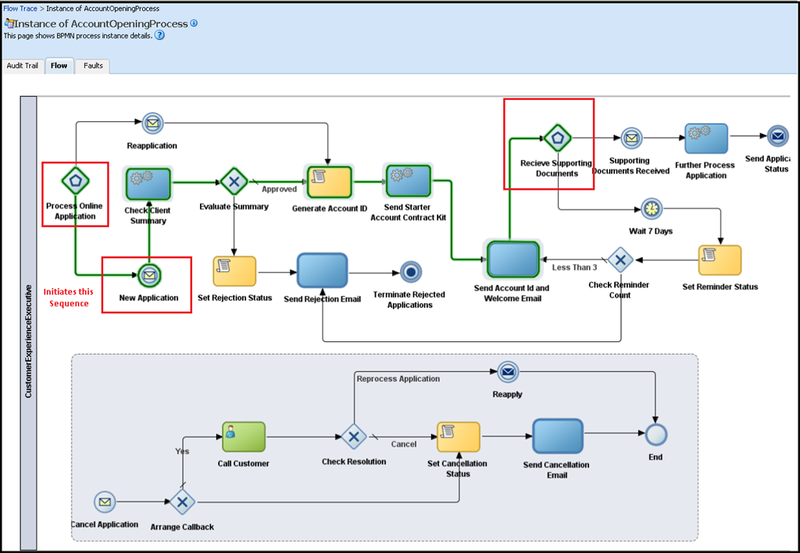 With Nintex, their integration only features the single Action: Start Workflow. 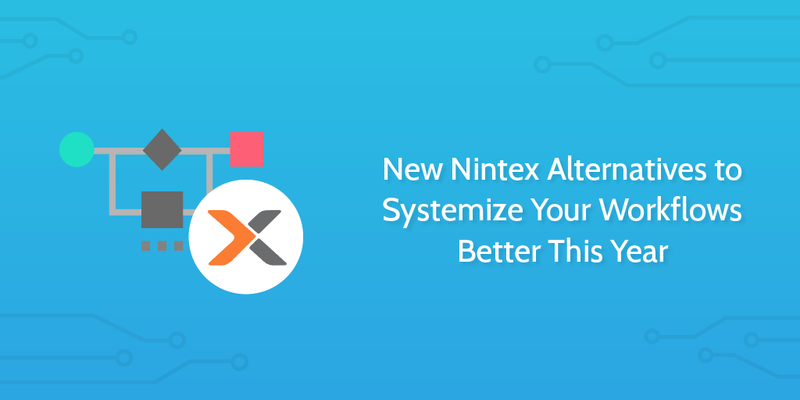 If you’re a big fan of building automations and you use any software outside the corporate bubble of Sharepoint and Office, then Nintex is a bit of a let down. Process Street also comes in at a similar price point to Nintex’s very basic Document Generation software, while offering a world of extra use value. Use Process Street to manage your recurring processes, ensure consistency, and organize teamwork. One feature of Nintex’s advanced platform, which is useful during the planning stage, is the ability to create workflow diagrams and process maps. You can use visual aids like this to create simple high level overviews or full BPMN documented workflows. However, you don’t need to break the bank in order to create these easy-to-visualize plans. Lucidchart provides cloud-based diagramming software which can be put to use for a range of cases, from engineering to business mapping. With an intuitive UI, Lucidchart doesn’t require a huge amount of labor time to familiarize yourself and your team with its features. The charts themselves can be saved and shared as drafts, allowing for collaborative design and creation. Or they can be shared when complete; as PDFs, PowerPoint presentations, or embedded in HTML. Combining Lucidchart with other process management software allows you to operationally interlink different SaaS products in order to replicate the feature set of larger much more expensive enterprise products like Nintex. Pay annually for a 17% discount and add their services into your stack. Lucidchart don’t have a Zapier integration, but if you’re one of the many businesses which are built on G Suite then you’ll find you can integrate Lucidchart with the related Google products. We’re big fans of Zapier and what their team are doing. We even put together an ebook to help people make the shift into incorporating business process automation into their businesses. The platform can connect over 1,000 different apps, and with the addition of added features like team accounts and the ability to add more complex filters and multi-step zaps, Zapier lets you build rule-based business processes which run in the background. In Zapier, you select a Trigger app and an Action App. When you undertake the specified task in the Trigger App, Zapier will automatically perform the set action. This is the basic underlying structure of the platform and it is incredibly intuitive once you’ve played around with it for only a few minutes. According to the report Four Fundamentals of Workplace Automation from McKinsey, the average marketing executive could save 15% of their labor time by utilizing commercially-available automation technologies. Within Process Street, we use Zapier to cover use cases like data entry, database maintenance, meetings, social media scheduling, and more. This allows us to work from a set process, all while transferring the data entered into that process by a user into another SaaS platform where it can be stored and acted upon again in future. Zapier might not give you the actionable process management tools that Process Street provide, but it turbocharges your process management potential allowing you to replicate – and even surpass – the automation potential provided by high-end corporate software. Plan.io is a German project management tool based in Berlin. Geared more for techies, it provides features like a Git repository, time trackers for issues, and a wiki for document management. As part of their project management offerings, Planio has task management functionalities which can allow for a workflow to be managed — provided you set it up correctly. I don’t find the layout of Planio to be the most intuitive, but it deserves a mention due to its broad scope of functionality. Redmine — the basis for Planio — is an open source project management tool built on Ruby on Rails which you can customize and run on your own internal servers. This approach is certainly more geared for tech-savvy teams, and is unlikely to be the most effective system to use if you’re looking to have a process management or project management system which encompasses all parts of your business. Planio isn’t the most simple tool when it comes to integrating with Zapier. The Zap you need is actually the Redmine zap. This means, of course, that you could set up Planio to run a corresponding Process Street checklist when a new Redmine issue is created. So it is possible to extend the workflow management aspect of the platform in this way. When it comes to process management, SweetProcess shares a lot of common ground with Process Street. It too is built on the basis of creating templates and running them as checklists. Whether you prefer the UX and UI of SweetProcess or Process Street comes down to personal preference, but the difference between the platforms is based on functionality rather than appearance. SweetProcess is a useful tool for simple workflows which just need to be followed. A 10-step process, for example, where it’s not necessary to input information or connect with other external services. That kind of process works fine on SweetProcess and it’s intuitive. Process Street differentiates itself as a complete business process management platform, rather than simply a checklist app. Process Street templates have form fields which allow the person running the checklist to enter information which is then stored on the platform. This form builder approach means that Process Street is able to make the most of its Zapier integration – something SweetProcess doesn’t have, nor need to have as it is aiming to satisfy a simpler series of use cases. When it comes to task management software, everyone has a different approach they prefer. Trello takes the Kanban card style route to effective project management. And I’m a fan. The Kanban system of moving cards through a series of columns as progress occurs is very visual and intuitive. The dragging and dropping of the cards lets you feel like you’re making progress. Trello, as with most of these different software options, can be employed for a series of different use cases. You could identify every constituent task you need to undertake and create a card for each, if you wanted. Or you could take the approach of creating cards for larger tasks which encompass a process. This is how I use Trello. The card might read “Write an article” when I first make it, and then I follow my regular processes as I go through, moving the card to different columns as those processes are completed. As part of your stack, Trello can be a useful tool to help guide your team and kick off your processes. With a great Zapier integration, you can also hook Trello up to the rest of your SaaS products. It wouldn’t be an article about Nintex alternatives without begrudgingly mentioning Sharepoint — particularly Sharepoint Designer. Sharepoint was launched in 2001 to be integrated with the Microsoft Office suite. Its intended purpose is a kind of document management system but it has the benefit of being highly flexible and customizable. Many organizations use Sharepoint partly because of its position as being one of the first movers and partly because of its role within the range of Microsoft products which lots of companies have built their businesses around. Once a large company with a huge number of staff has a product like this embedded within its organization, it is difficult to navigate away from it. Yet, despite its long-standing presence in the market, Sharepoint is a cumbersome tool which isn’t as user friendly as the more modern startups in the field. Dropbox have begun offering a document management system as part of their original file storage model, and you can tell that the effort put into UX and UI is much greater, even if the scope of functionality is smaller. This video below from the Sharepoint Business Users Network is telling when it comes to how users feel about the software. The video recognizes that users hate it, and then attempts to find ways to mitigate that dislike. If you’re not already using it, maybe don’t bother. Hardly the most exciting name to be given to a process management software. Nonetheless, being a piece of Oracle kit means Suite 12c holds a strong market position among the big enterprise firms. It allows for process modeling in diagram form, as seen in the image above. It prides itself on allowing users to create new processes quickly, and for these processes to be editable while still in action. There’s not much particularly fancy in terms of those features, but the system does provide some advanced reporting tools which businesses would find useful, including predictive analytics. It’s hard to tell you the price given that this kind of software is prohibitively expensive for small firms, but according to the 2017 Oracle Technology Global Price List report, the Unified Business Process Management Suite is listed at $1,150 per named user, with a Processor License at $57,500, and Software Update License & Support at $12,650. If you’re a large multi-national and you have certain software deeply embedded in the core of your business, I don’t expect you to drop tools and move to something new overnight. However, if you’re a smaller business looking to systemize it may be worth considering marrying a few different tools together. By utilizing Zapier and products which integrate with Zapier, you can access greater automation potential than the large corporate-focused products offer. Lucidchart is beautiful for designing process diagrams yet comes in at a fraction of the cost of Nintex or others. Process Street allows you to not only build your processes, but put them into action; making it as easy as possible for your employees to follow them and do their best work. Creating your own stack from existing integratable products could save you a large sum of money against signing up for the old guard of process management. Have you used these tools mentioned above? What did you think of them? Let me know in the comments below! Hey Adam, cool list and analysis but you should look into Podio + Globiflow + Process Street. It’s a killer combo. Great post. We use Teamwork, mainly for client collaboration and time tracking, file and info repository and then Process.st for the detailed steps and tracking of those steps. 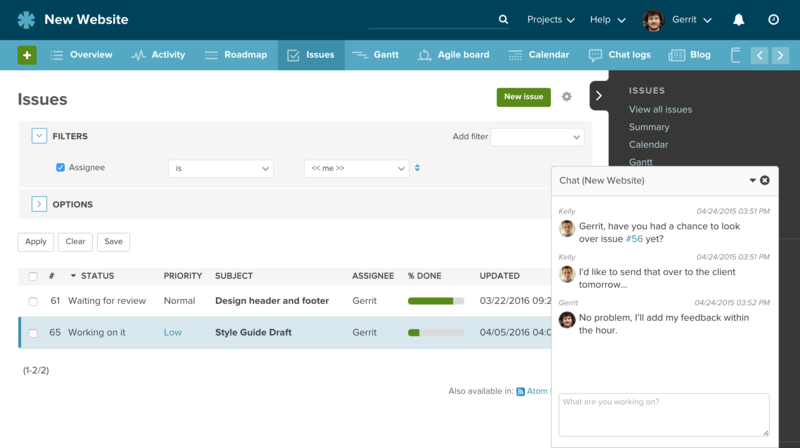 Trouble is the task management is not ‘visual’ enough and we’re so used to using Trello with it’s Kanban style UI is hard to beat. How the heck do I connect them? Any ideas? You connect them using Slack. Ignore the power-ups inside Trello. There is a free app in Slack to push notifications to channels when pretty much anything is done in Trello.